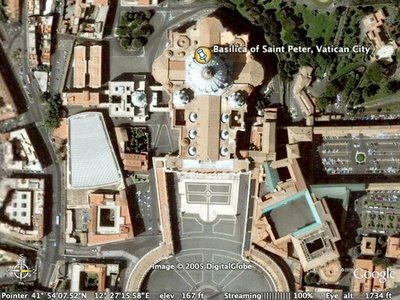 Google Earth Now Available For Mac! MacWorld San Francisco Keynote 2006: WOW! 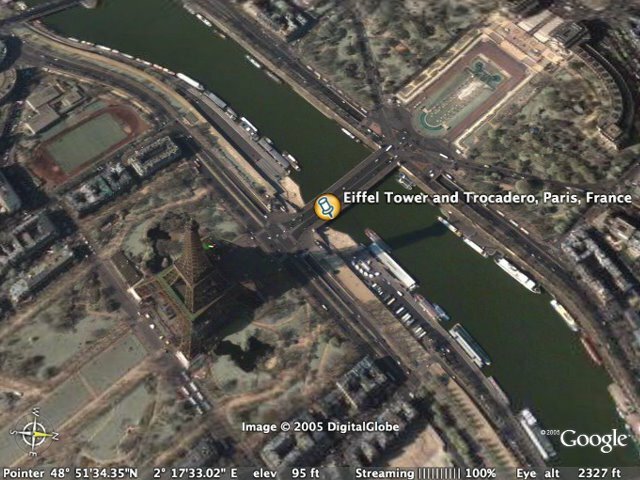 A beta version of Google Earth is now available for Mac users (Mac OS X 10.4 required). Yey! It's a pretty amazing application. 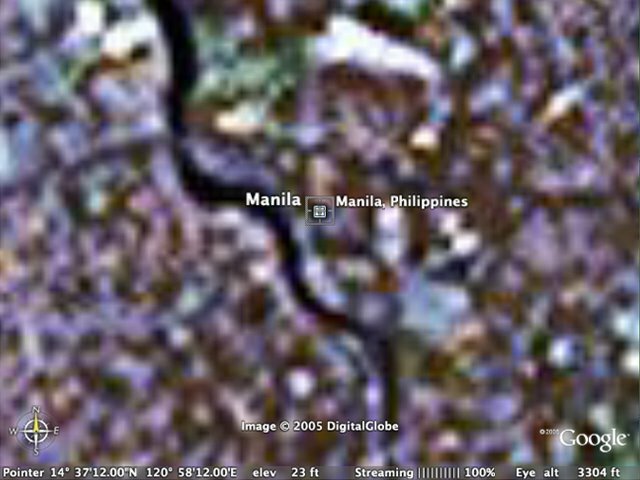 You get to "fly to" different places all over the world and view satellite image captures. You also get all sorts of information displayed such as road names, 3D renderings of various building structures and even dining information. I took a glimpse of famous places such as the Eiffel Tower and Saint Peter's Basilica. The images are very impressive. It makes you feel like you have your very own hi-tech worldwide surveillance equipment. Get Google Earth for Mac. hey you! ugh i had the same reaction when i googled manila (but i wasn't using a hi-tech mac like yours). of course i did it after viewing european cities, the swiss alps, and beijing. try baghdad though, it's funny how detailed the maps are. americans talaga. Hello, Karmi! Welcome to my blog. How very nice to meet you. ;) The sad part is that I often feel as if I'm actually living in a figurative peatry dish filled with bacteria. So the image is rather apt. Hehe.